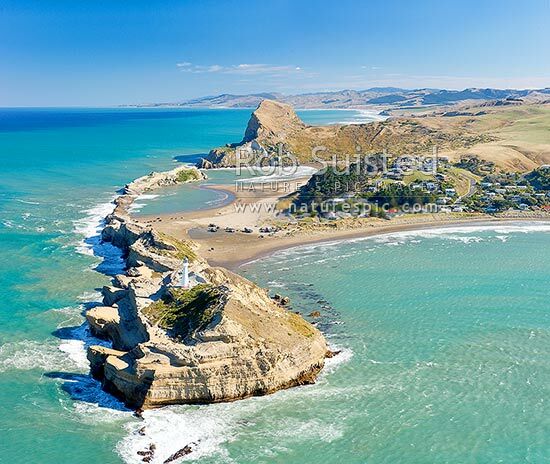 Castlepoint lighthouse, reef, lagoon and village, and Castle Rock (162m). Castlepoint Scenic Reserve. Aerial photo looking south. Square format, Castlepoint, Masterton District, Wellington Region, New Zealand (NZ), stock photo.